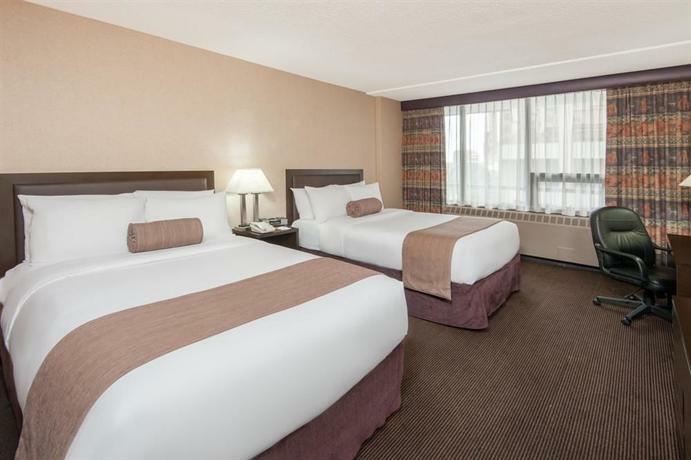 This hotel (renovated in 2011) is located in the core of the downtown Calgary area on 8th Avenue South West and offers leisure and business travellers accommodation within walking distance to shopping, restaurants and the business district. 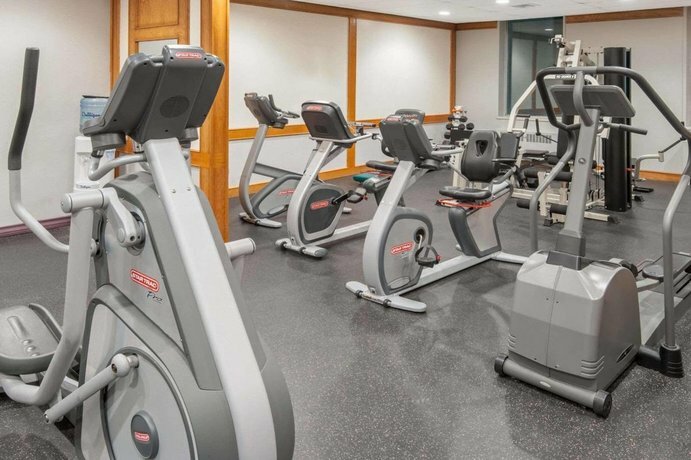 On-site amenities include an outdoor heated pool and a gym. 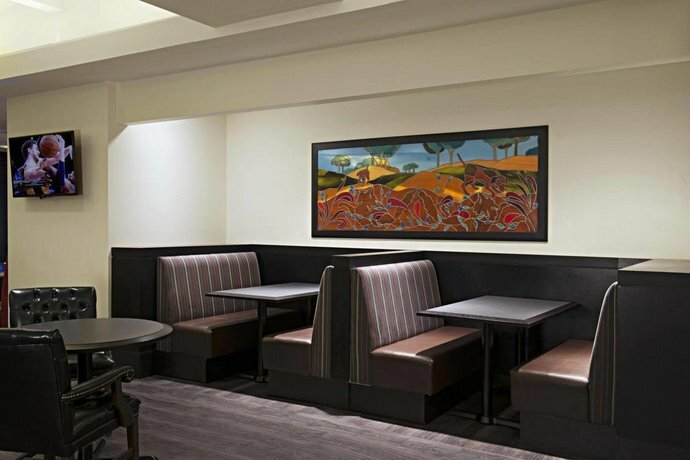 Guests have the option to choose between non-smoking and smoking rooms at this hotel. 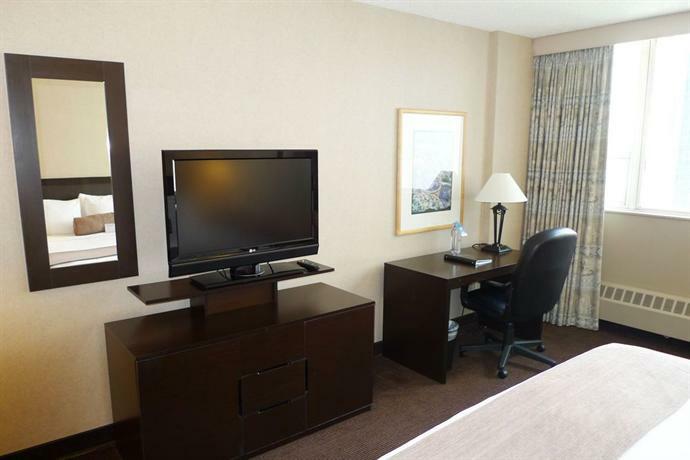 In all rooms, they can expect Wi-Fi, a coffeemaker, a flat screen TV, a hair dryer, and an iron and an ironing board. 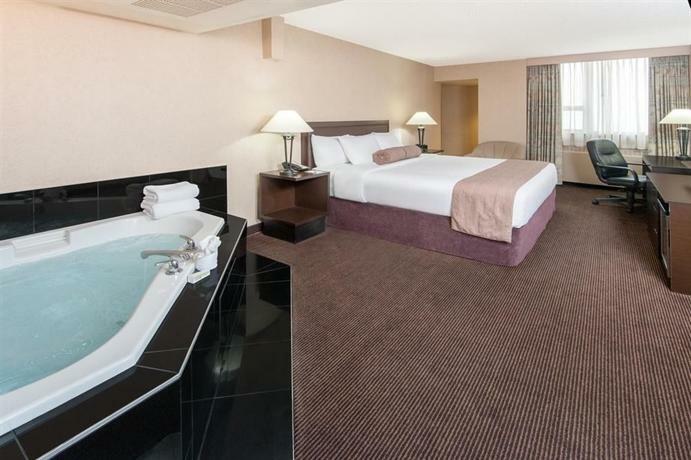 There are Standard rooms and Suites available, some of which have a hot tub. Valet-only parking is available on site for $15.00 a day on weekends and $25 per day on weekdays before tax and pets are permitted for $25 per day. 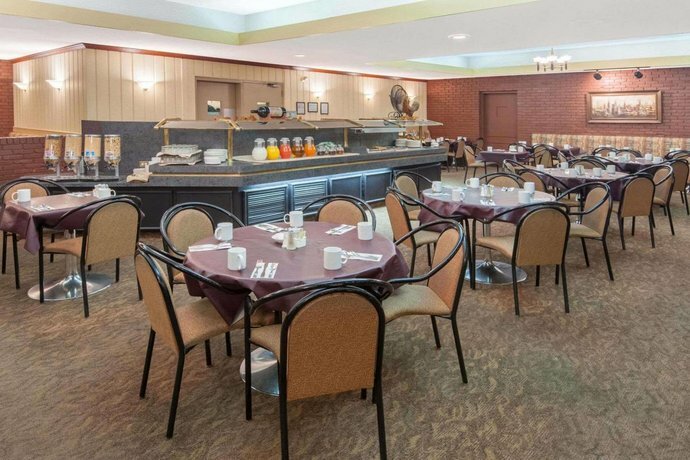 There are a number of restaurants surrounding the hotel, but guests can dine on site at Cheers Restaurant for breakfast and lunch, open daily from 7:00am-2:00pm. 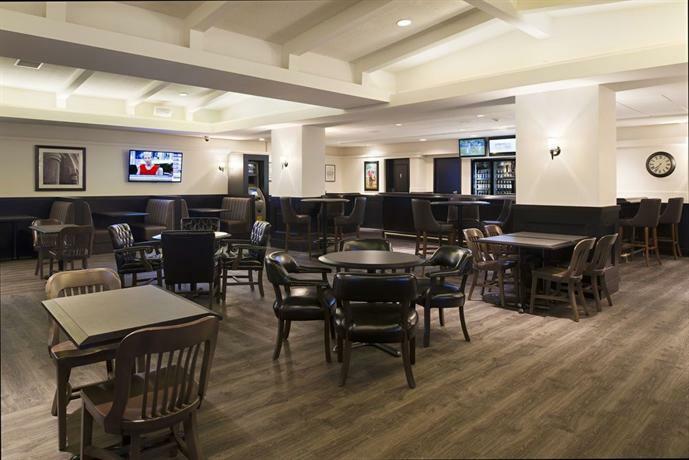 The Red Fox Lounge serves lunch and dinner, and is open Monday-Friday from 11:00am-10:00pm and Saturday-Sunday from 11:00am-8:00pm. For guests looking to wander Calgary by foot, there is much to see and do within walking distance. The Eau Claire Market, Calgary Tower and the Glenbow Museum are all walkable in about 15 minutes. 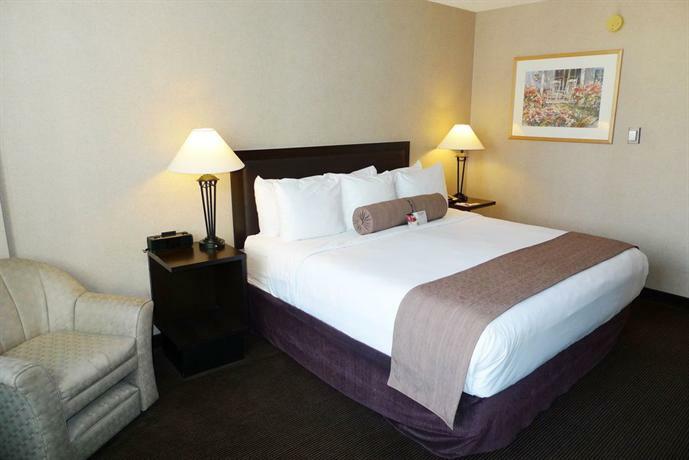 For guests in town for the Calgary Stampede, the Stampede Corral is slightly closer, about an 8 minute walk. 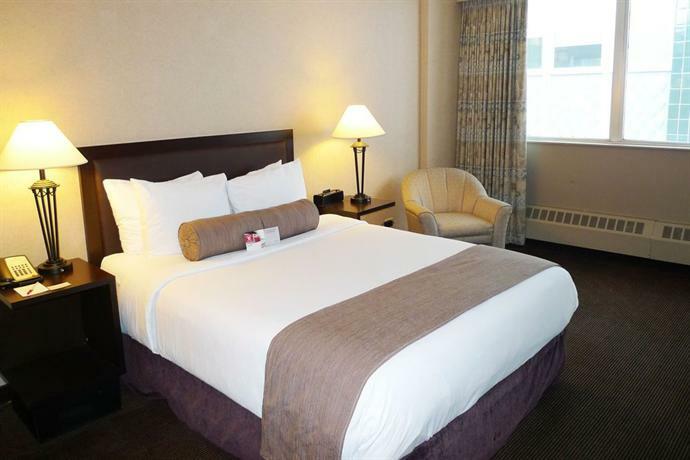 Guests travelling by air should budget about 23 minutes to drive the 18.4km between the hotel and Calgary International Airport (YYC) (distances and driving time estimates: Google Maps). 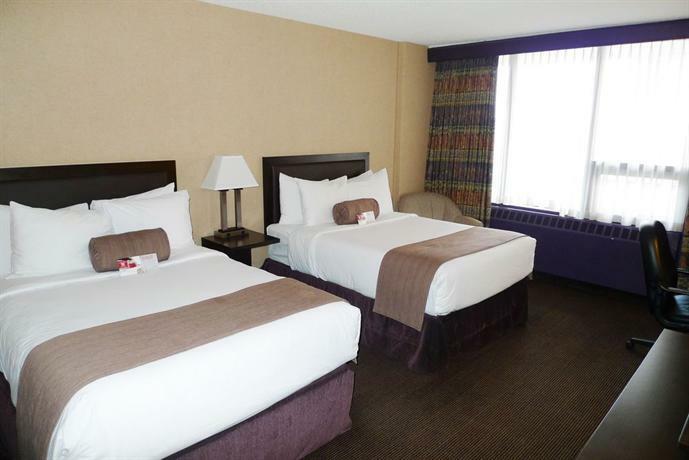 Confirmed with a front desk agent: Wi-Fi and parking (call date: Feb 13, 2015). 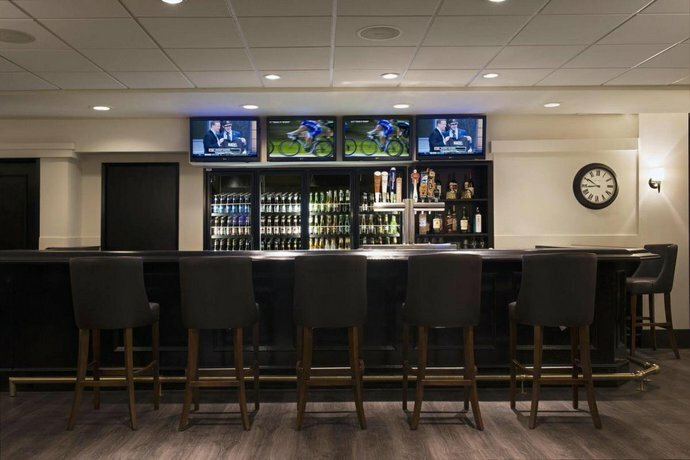 For guests that had a positive experience, much of it had to do with convenient location, and high levels of customer service. 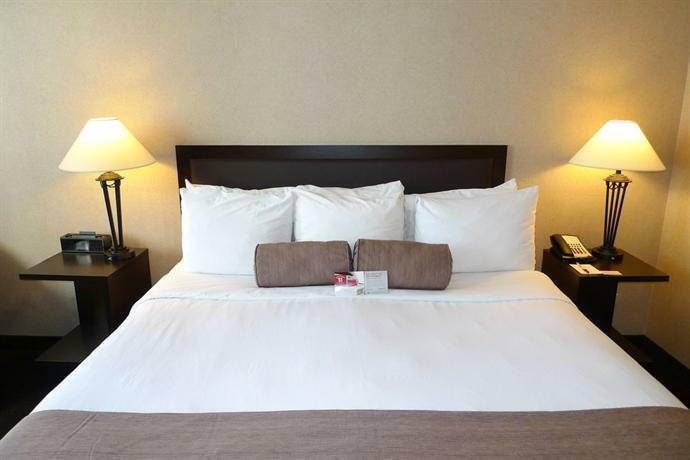 Staff at this hotel provided excellent service, and guests used words like "efficient" and "friendly" to describe them. Some guests felt that staff really made an extra effort to enhance the stay. One guest described how they had left a few bottles of beer sitting on the table in the room, and when they had returned from their day out, housekeeping staff had placed them on ice. 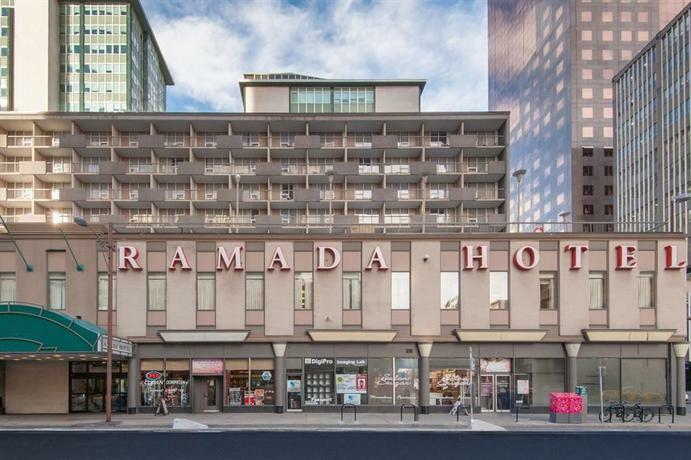 Location was a big plus for a number of guests, who felt that the hotel was central and convenient to a number of shops and attractions. 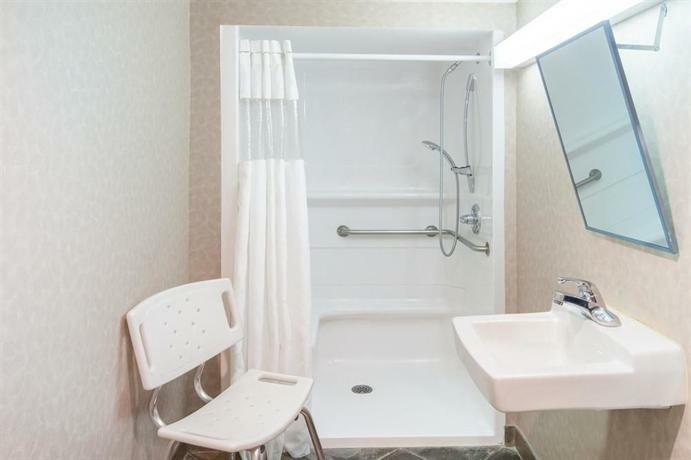 Comments like "perfectly located for business or shopping trips" and "great location" were reflective of guest sentiment. 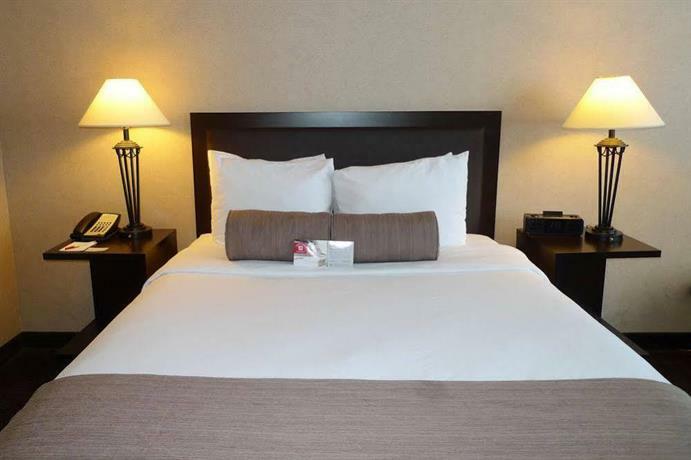 Rooms were clean and comfortable, according to a number of guests. A few guests mentioned that the beds and the pillows were comfortable as well. 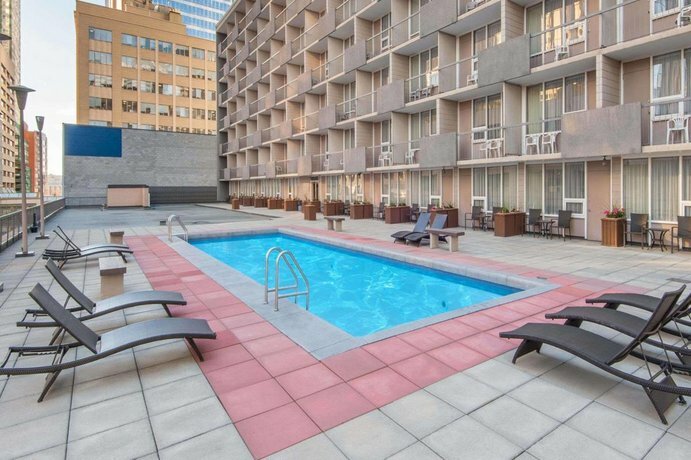 Guests said that the price was "reasonable" and that it was a "good hotel for the price you pay". 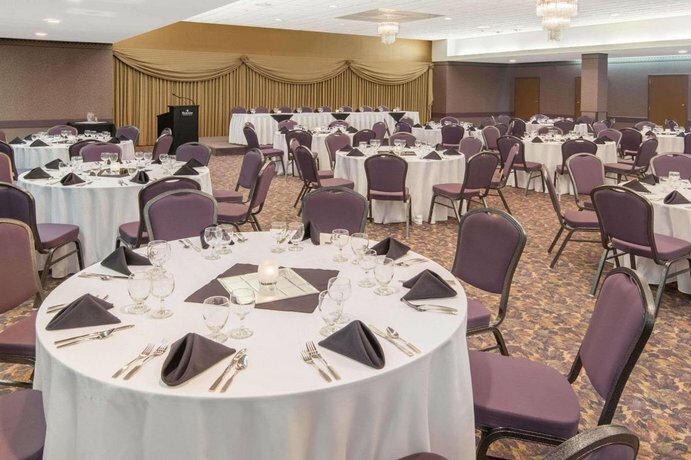 There were a few additional compliments on things like large balconies and good food and service at the on-site restaurant. 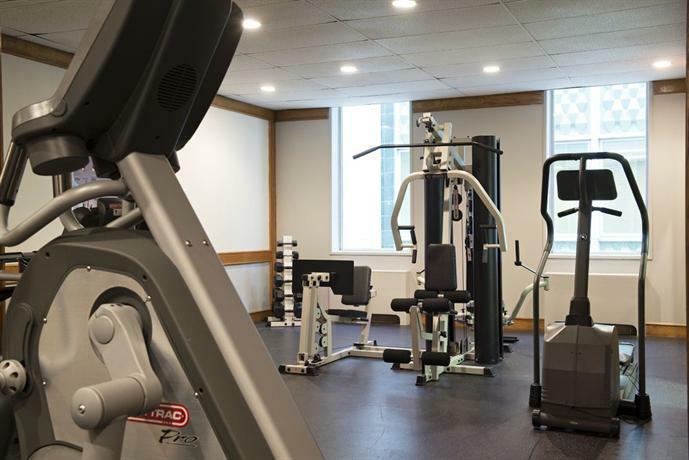 While many of the reviews used for this analysis were favourable, there were a few common threads among guest complaints. Some guests thought the hotel looked tired and dreary. This was partially due to the color palette chosen and partially due to areas that still required some maintenance. Some comments like "ripped carpet, torn wallpaper and chipped paint" surfaced when guests described the hallways and even their rooms. Staff received mixed reviews with some saying the customer service was great and other saying it was lacking. While guests seemed to enjoy the food at the on-site restaurant, a few said they have slow service. Some liked the value and others thought it was not worth the lower price paid. Additionally there was some complaint over the valet-only parking which required that guests surrender their car keys to the attendant for the duration of their stay. 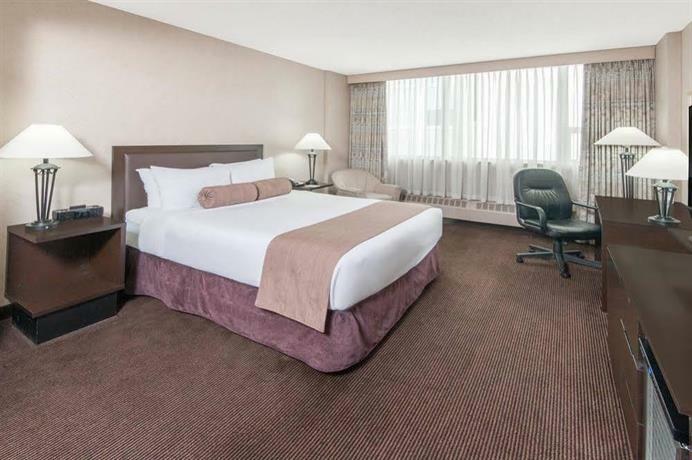 TripAdvisor.com guest reviewers ranked this hotel #37 out of 97 Calgary hotels, based on 164 reviews. 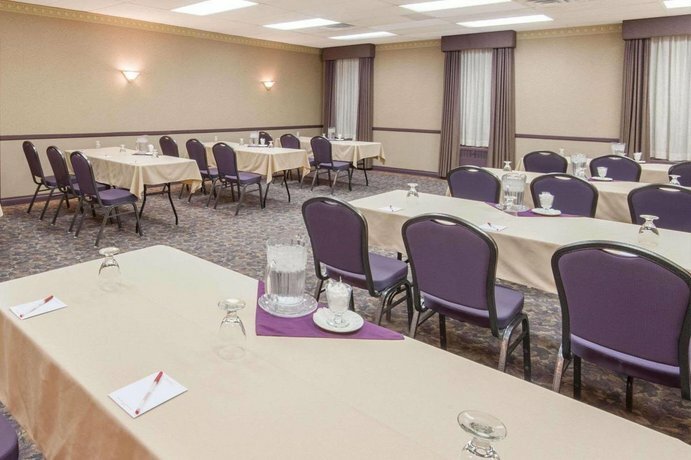 Expedia.ca guest reviewers rated this hotel 3.6 out of 5, based on 74 reviews. 76% of guests would recommend this hotel. 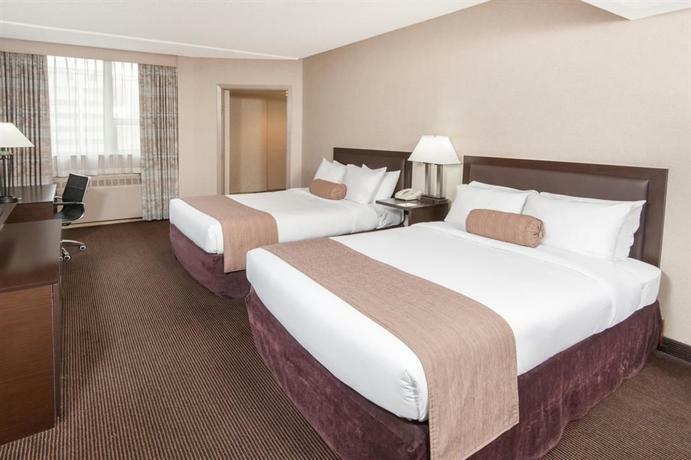 Booking.com guest reviewers rated this hotel 7.5 out of 10, or "good", based on 43 reviews. 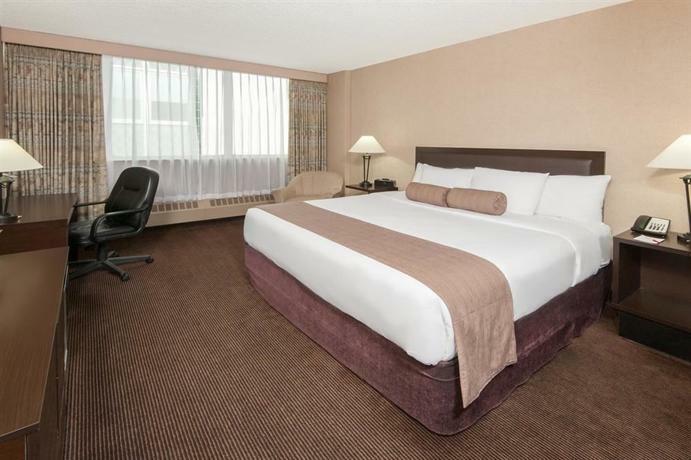 The average guest rating for Ramada Plaza Calgary Downtown is 6.5 out of 10 based on 2982 reviews from past guests. 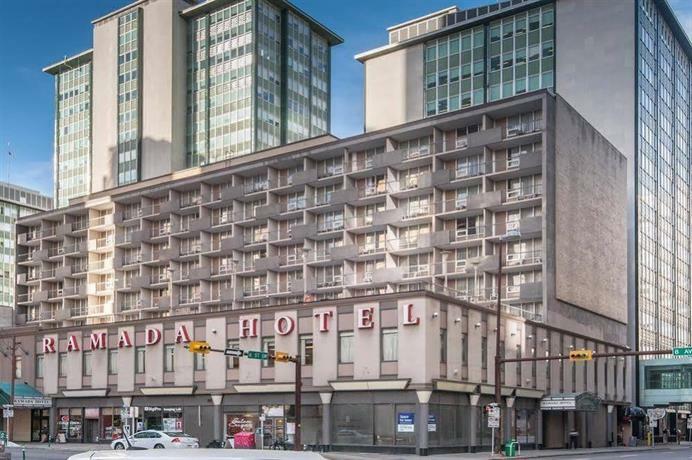 This average guest rating ranks Ramada Plaza Calgary Downtown at #72 out of 77 hotels in Calgary.